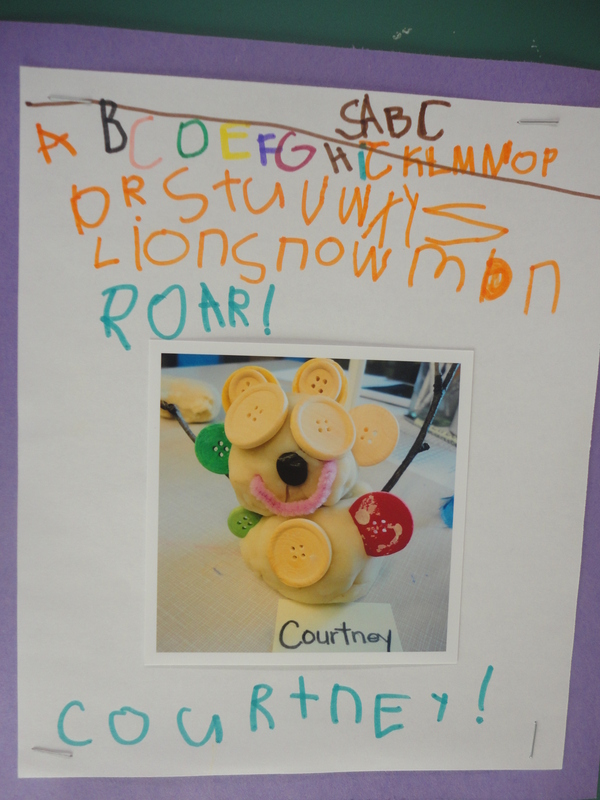 Welcome to The Curious Kindergarten, a blog about the discoveries my students and I make in our full-day kindergarten! A bit about me: I have been teaching Kindergarten for several years and have recently started implementing some philosophies from Reggio Emilia into my classroom. Our learning journey is a work in progress, and I hope visitors view it as just that: an opportunity to reflect and grow each day. Thanks for stopping by! Well, here in Toronto this week we got an early blast of winter with 5 cm of snow. 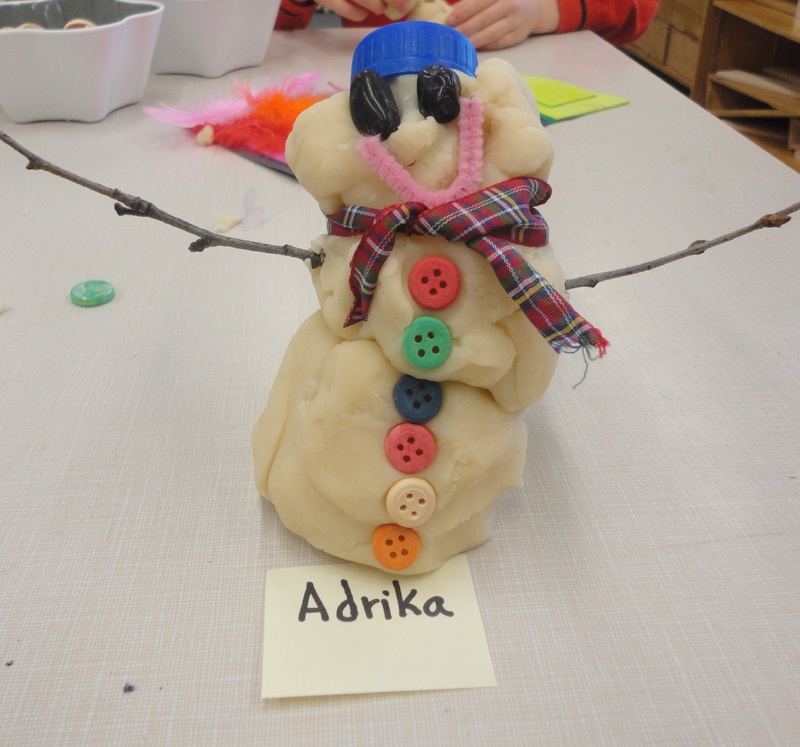 It was perfect snow for packing and sculpting too – which meant lots of opportunities for making snow creatures! 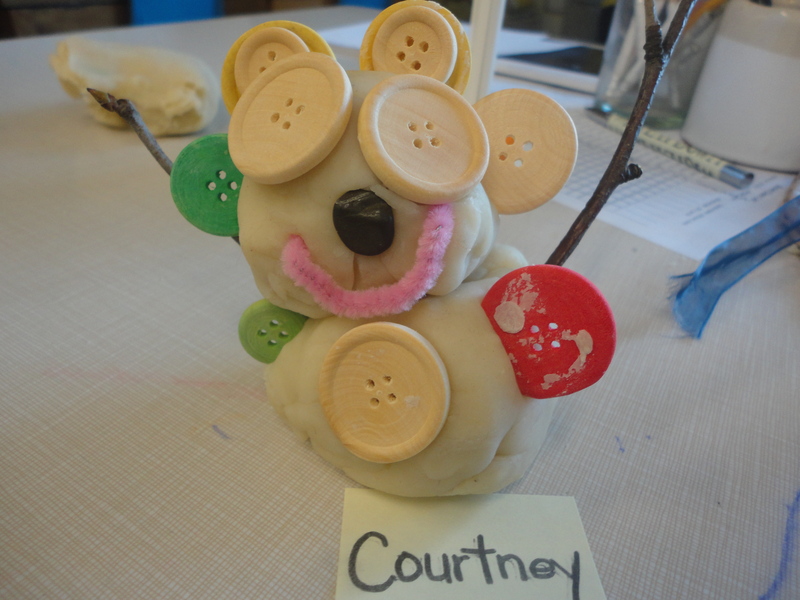 So, in honor of our first snow of the season, I thought I’d share a wonderful playdough activity that provides many opportunities for language and literacy skills. 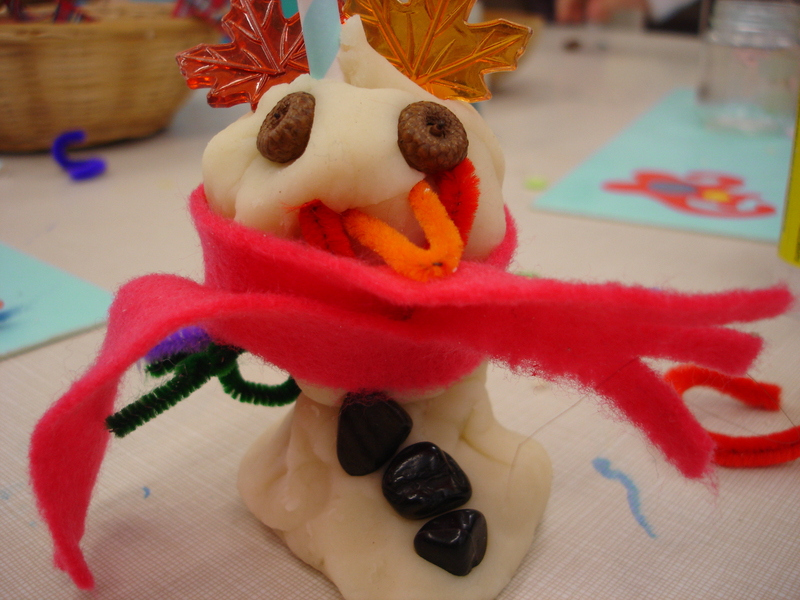 The children were encouraged to construct and decorate their own snowman/snow creature. 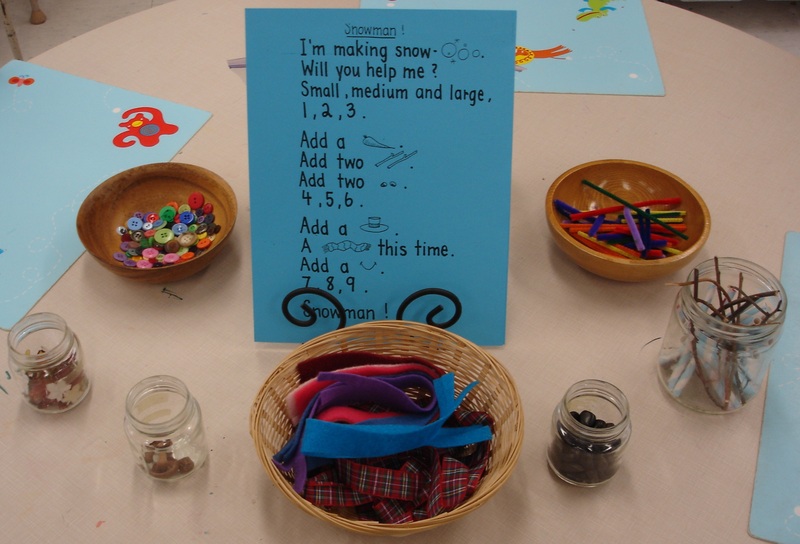 While they worked, the children talked about their experiences in the snow and were encouraged to describe their creations. 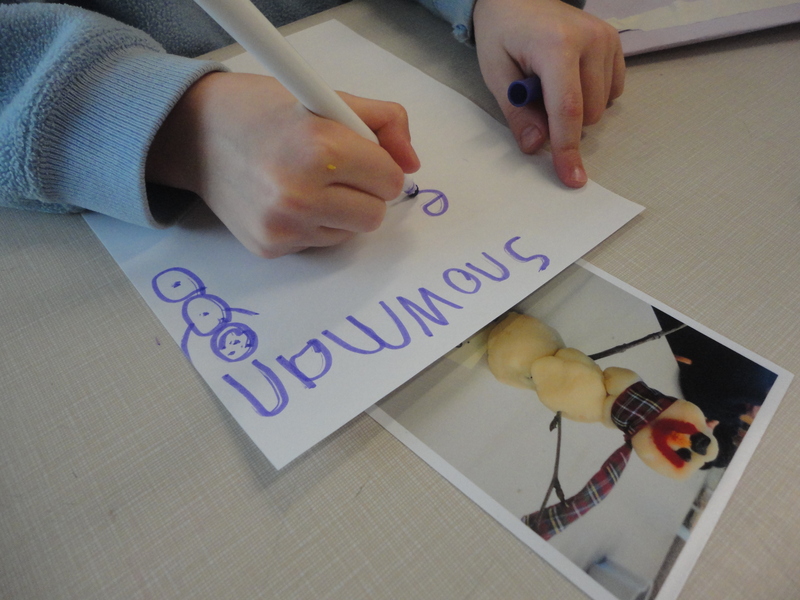 Each snowman was photographed (in fact, most children were keen to snap the picture themselves!). 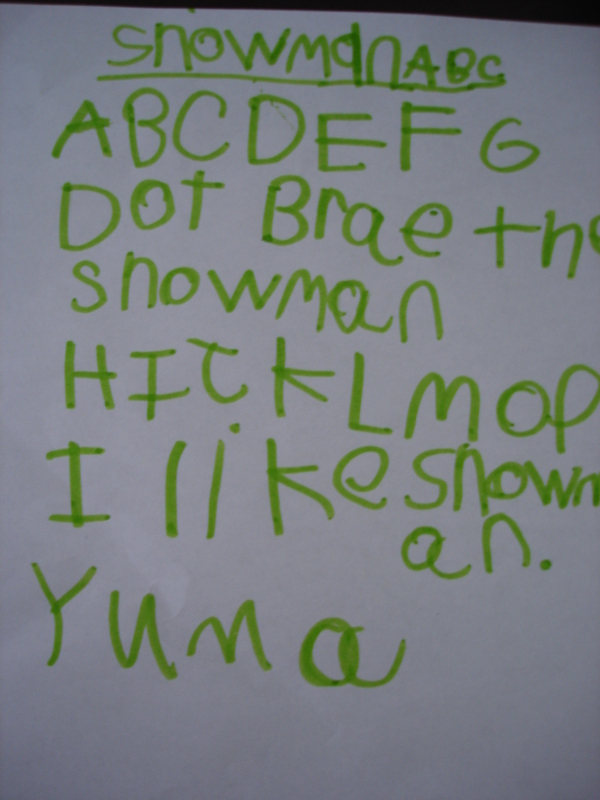 The photos of the children’s snowmen were printed and added to the writing table where the children were encouraged to write poems about them. 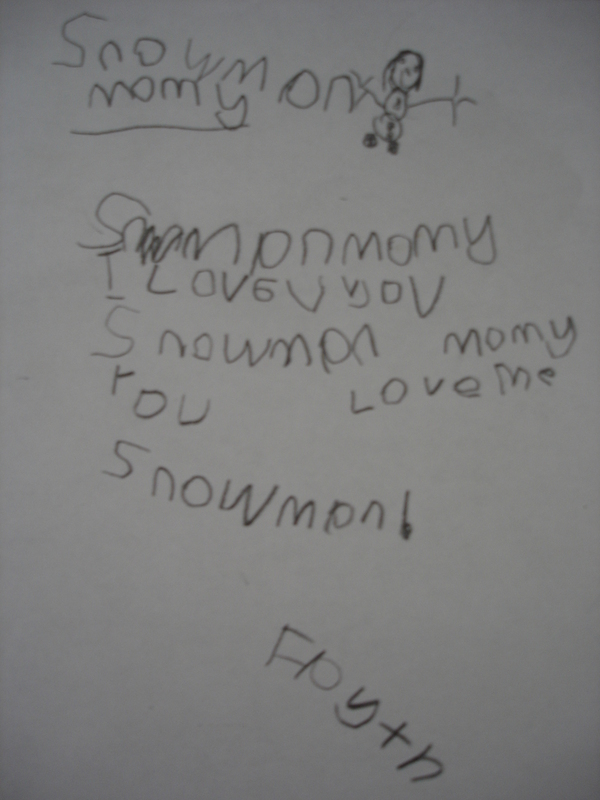 This student had some very creative words of his own to add to his poem! He was hesitant to write the words on his own so I scribed them for him, but encouraged him to write the title and special ending words “Splash! Coocoo!” on his own. 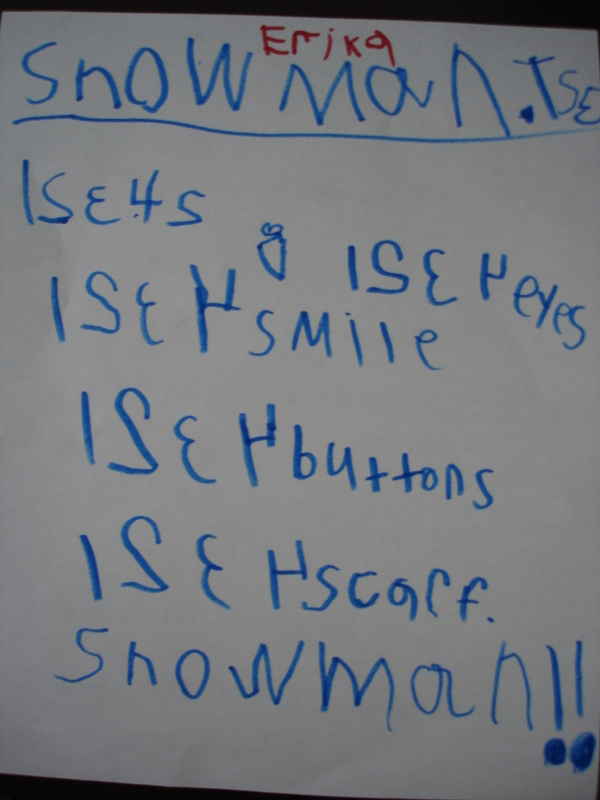 *The topic developed out of the children’s own interests in making snow creatures outside. 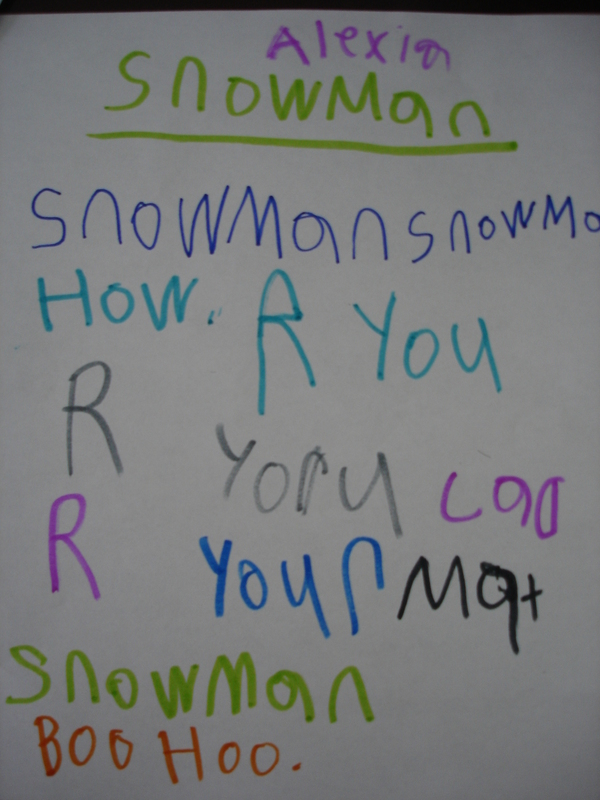 *The poem we read helped the children understand/think about the process of making a snowman and served as a model for the type of writing we wanted the children to attempt (poetry). 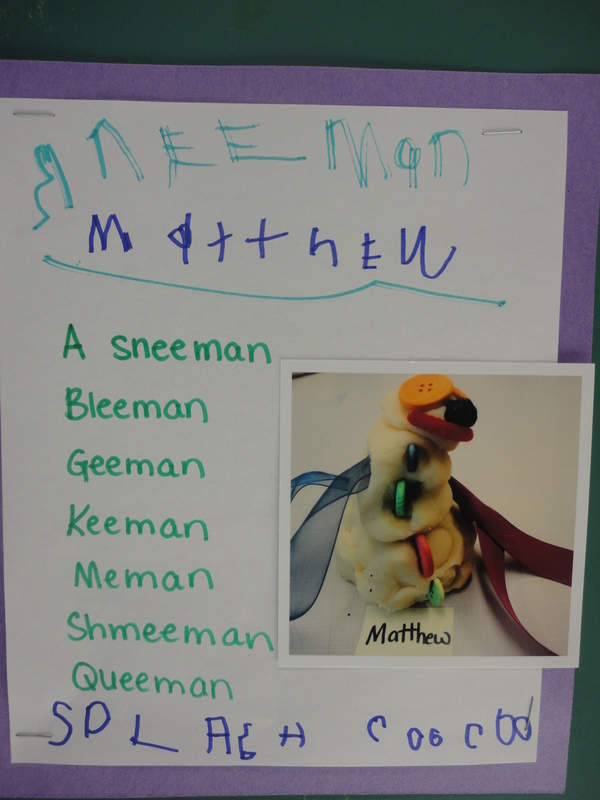 *We talked about the features that made the snowman poem interesting and fun for us to read. There was a particular emphasis on the ending of the poem and how it was an exciting finish. 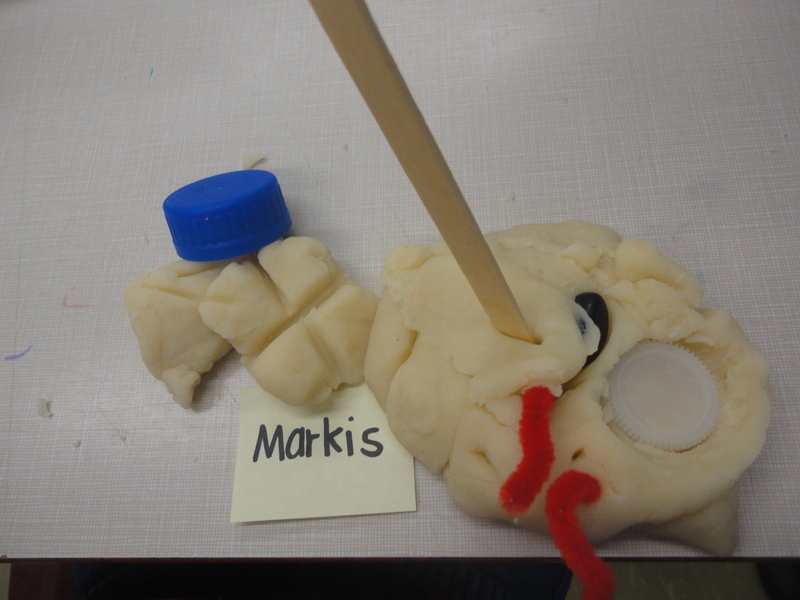 *The children had an opportunity for hands-on exploration with materials. 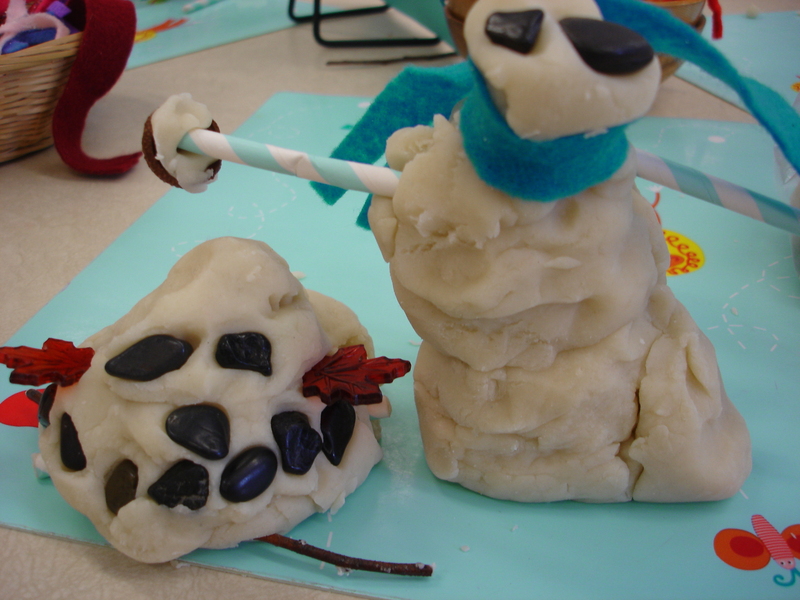 The conversations we had while making the playdough snowmen lay the foundation for our poetry writing. *We wrote several poems together as a class (modelling) prior to students attempting to write their own poems. *All students were encouraged to write a poem regardless of their level of skill in writing. *All children were celebrated for their creativity and success. 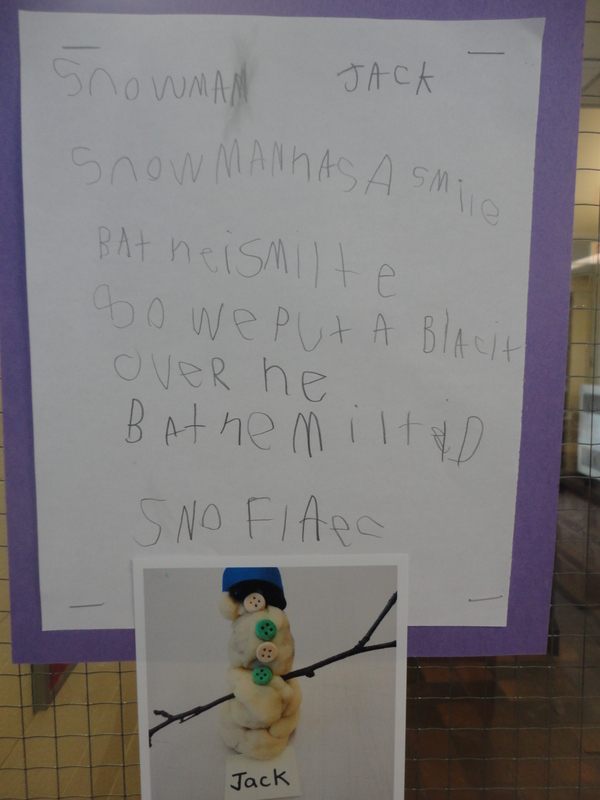 This entry was posted in Playdough Provocations, Provocations, Writing in Kindergarten and tagged Inspiring Young Authors, poetry in kindergarten, Reggio inspired kindergarten, snowman poems, snowman provocations, winter playdough provocations, Writing in Kindergarten by msmcdonell. Bookmark the permalink. This is such a great activity! What a fun activity! My students love play-doh, and adding the writing component is a great way to extend and add extra meaning…love how adaptable this is! What a wonderful website you have–thank you! 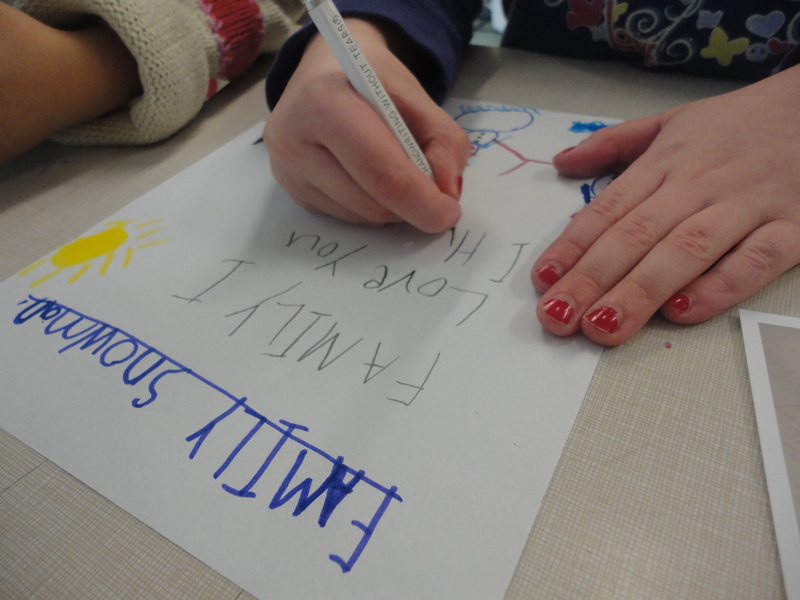 I am experimenting with a reggio-inspired approach to teaching kindergarten this year and your website is so valuable! and so helpful! Cant thank you enough! Wondering if you would do a post on how you do/introduce writing poetry in your classroom. 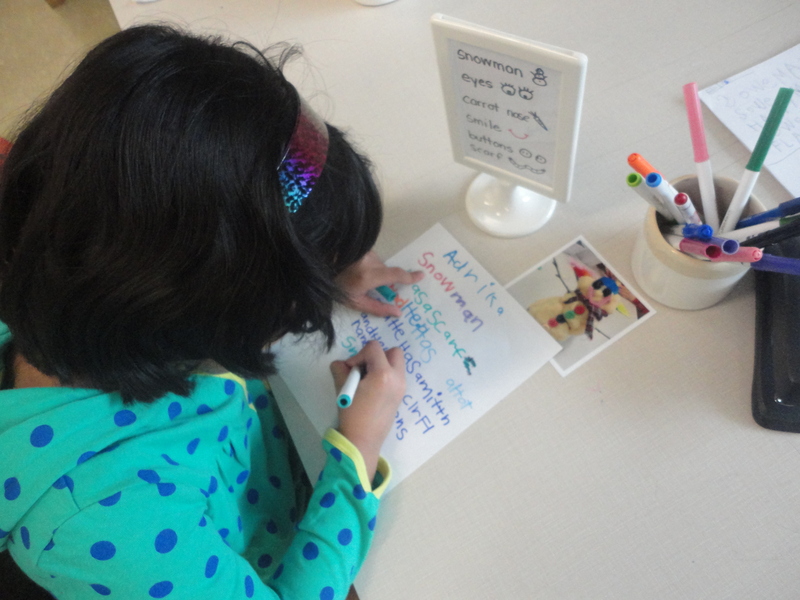 We read a lot of rhyming poetry, but I am struggling with how to introduce it in a way that isnt rhyming all the time–and how to get kids to start writing it. Also do you do formal journaling or is your writing program more authentic/activity based?